Well, I am here to explain the reason behind this! Those tiny little bristles that do such an amazing job of cleaning your teeth are great “catchers” for bacteria, fungus, germs and viruses to stick to. GROSS! There are over 700 different strains of bacteria that have been found in the human mouth. 700!! 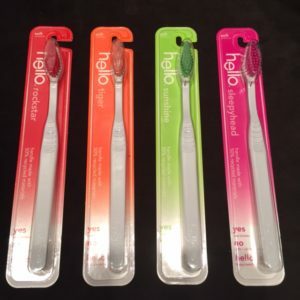 While these bristles carry bacteria, after daily usage they can continue to transfer bacteria to your mouth continuously. Also with that being said, you should never EVER share your toothbrush! To make the most of each brush, thoroughly rinse and store upright after each use. Don’t forget to change out your toothbrush!! Keeping these bristles new and clean will help to remove build-up and plaque on your teeth. For those of you who brush 3 times a day (like me!!) you might have to change your toothbrush a little bit more frequently. When the bristles start to wear down, they lose some of the effect of removing the plaque. This is the whole reason that we brush our teeth. Our toothbrushes go through normal wear after using them for periods of time, just like anything that we use over and over. When your bristles start to become frayed or splayed, it is time for a new one. Here at Sugar Fix Dental Loft we believe in being proactive. We give our patients the education to make sure they are taking care of their oral health. After giving them the knowledge they need, most of Dr. Emery’s patients choose the get their teeth cleaned professionally every 3 months as opposed to every 6 months. Your dentist and hygienist can go over with you what routine would be best for your overall care. Keep on brushing!